Four large panels at St. Mark's Anglican Church now bear colourful paintings by religious studies professor and artist Michelle Rebidoux. 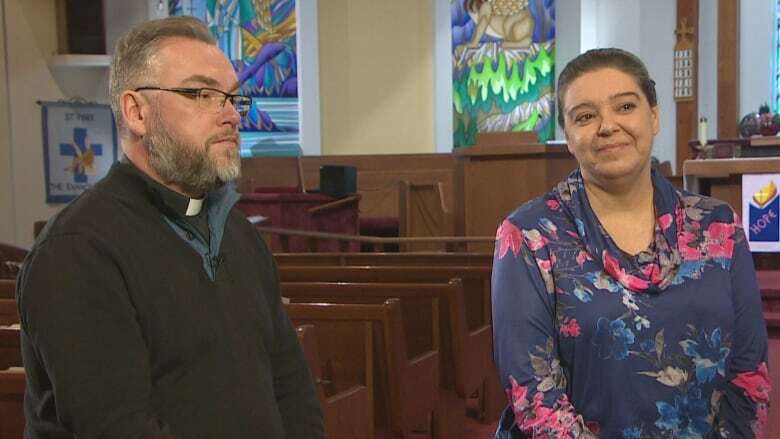 The first time Michelle Rebidoux, an artist and professor of religious studies at Memorial University, stepped into St. Mark's Anglican Church in St. John's, she felt something was missing. So, she spoke to the church's minister, and her colleague at Queen's College, Rev. Robert Cooke to see what could be done. "I saw those big bare panels there behind the altar, and I said 'Oh, they need painting,'" Rebidoux explained. "And I suggested to [Cooke] — just half in jest, I didn't think he'd really go for it — I said 'Would you let me paint those?' And he went for it." 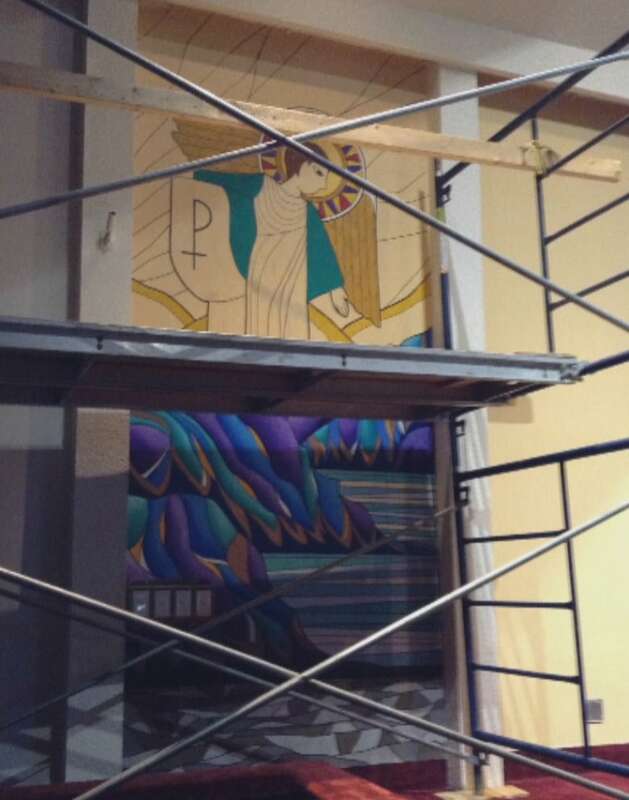 Now, two years later, Rebidoux is finished painting four panels behind the altar, each nearly four metres tall. 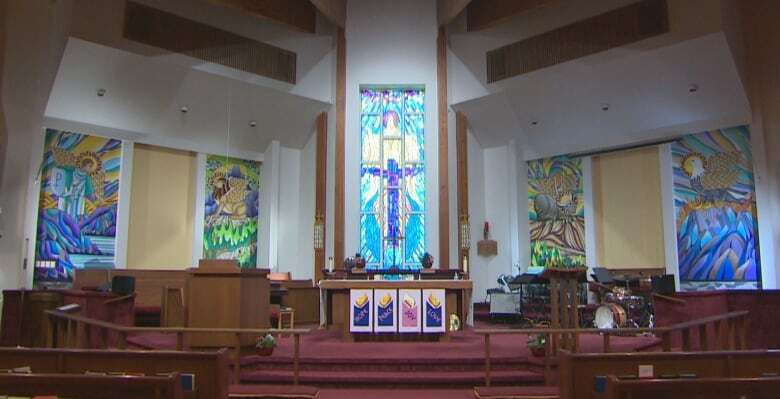 Cooke agreed the panels were in need of some paint, and saw an opportunity to bring some art into the church. "We try to encourage creativity and use people's gifts to give back to the church and give back to the community," he said. "But also, the church has traditionally been the centre of the arts, of paintings and music, so over the years we've lost that and we're trying to recover it here." There are actually six panels in total behind the altar, but it was a suggestion from Cooke to only paint four that gave Rebidoux inspiration for the final works. 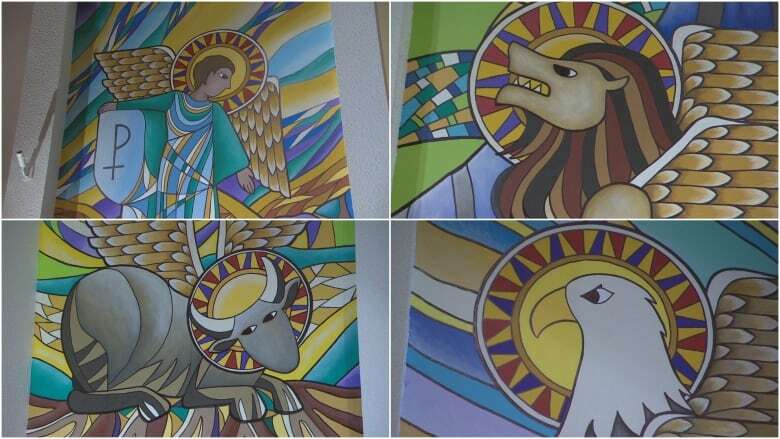 "As soon as I thought four, I thought 'let's do the four evangelists,' so they represent the Four Gospels, Matthew, Mark, Luke and John," she said. "Matthew is the perfect man, or the angelic man, Mark is the lion, Luke is the ox and John is the eagle." Rebidoux said the association between the Four Gospels and those particular symbols dates back to the second century. "It has to do with a lot of factors, such as the quality that Christ displays in each Gospel and how that quality matches with the quality of the symbol, and how each Gospel begins and the virtues that are associated with each symbol." 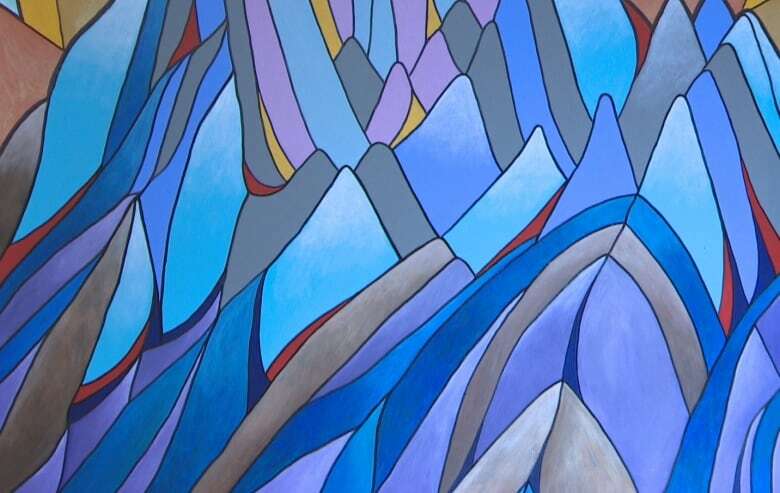 The colours of the paintings are also coordinated with stained glass already in the church, but Cooke also sees some Newfoundland scenery embedded in the paintings. "Like the Terra Nova area, the Torngat Mountains, some areas along the Southern Shore where you have the rolling green hills, and I also see the four seasons," he said. "There's a lot of different layers to the painting." For Rebidoux, she said she felt the pressure of painting something so large in such a significant religious space, but people have been happy with the final product. The paintings will be blessed in a ceremony at St. Mark's Anglican Church on Sunday, with Rebidoux giving a homily explaining the imagery.